In the year following the spark that started the #MeToo and #TimesUp movements, women have joined their voices together. Women, and men, have filtered their rage into protests, movements, campaigns and art. They’ve penned essays, casted votes and written songs. But women have never been silent: the 2016 election and proceeding women’s movements have only amplified our voices. Almost exactly a year after The New York Times and the New Yorker published reports of sexual assault allegations against Hollywood producer Harvey Weinstein, thus setting off the #MeToo movement, Dr. Christine Blasey Ford testified against Supreme Court nominee Brett Kavanaugh, who she accused of sexually assaulting her in high school. The day of the hearing, and Kavanaugh’s resulting confirmation, were painful to witness for so many survivors. In times like these, protest art can feel especially vital. 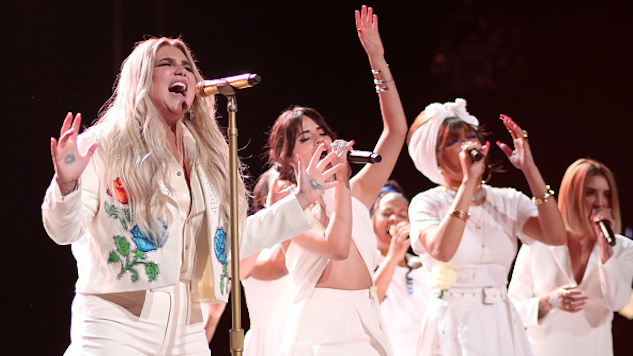 The women on this list have each crafted their own kind of testimonies, songs detailing emotional abuse, sexual misconduct and just blatant mistreatment. Some of these songs are rage-induced, blistering protests; others are uplifting anthems about sisterhood and resistance or self-love ballads. These songs—some old, some new—document everything from sexism in the music industry to personal anecdotes of sexual abuse. They span genre and style, but each was written by a strong woman with something to say.